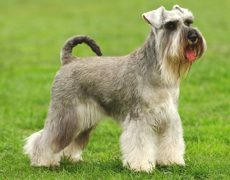 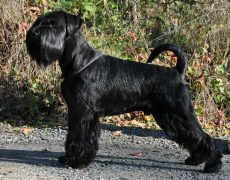 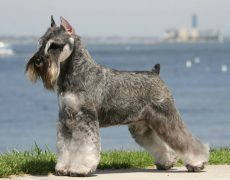 The Standard Schnauzer is said to be the first of the three Schnauzer breeds from which the other two (Giant and Miniature) originated. 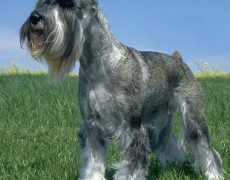 Its name Schnauzer is the German meaning for the English word snout all because of the bearded or mustached snout this canine has. 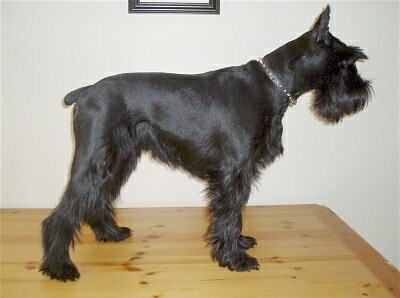 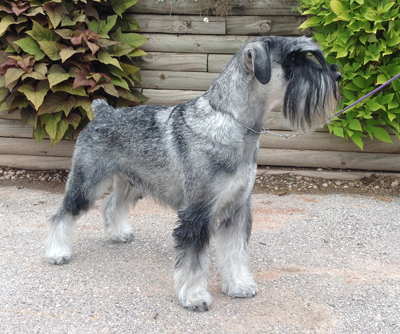 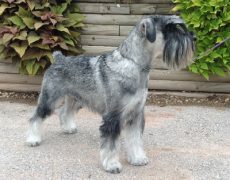 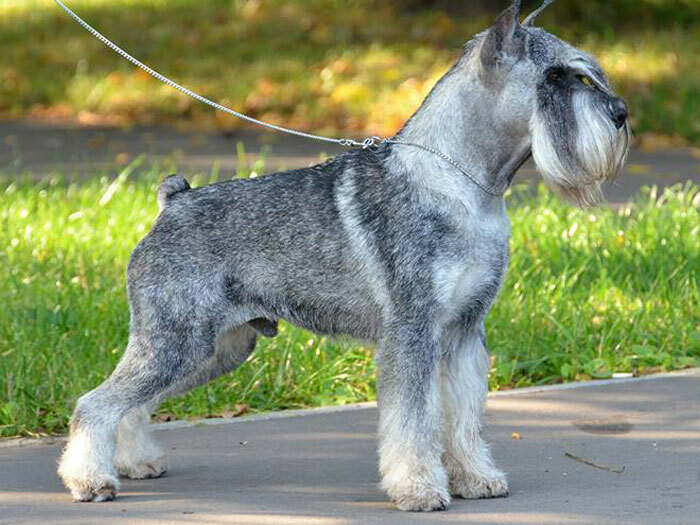 Some of the distinct features of the Schnauzer include a robust, sturdy and muscular body with a square built, rectangular head which is somewhat elongated, oval, dark brown eyes, bearing an intelligent and spirited expression, high set, well-shaped ears, strong muzzle and a tail of moderate size carried in an erect manner. 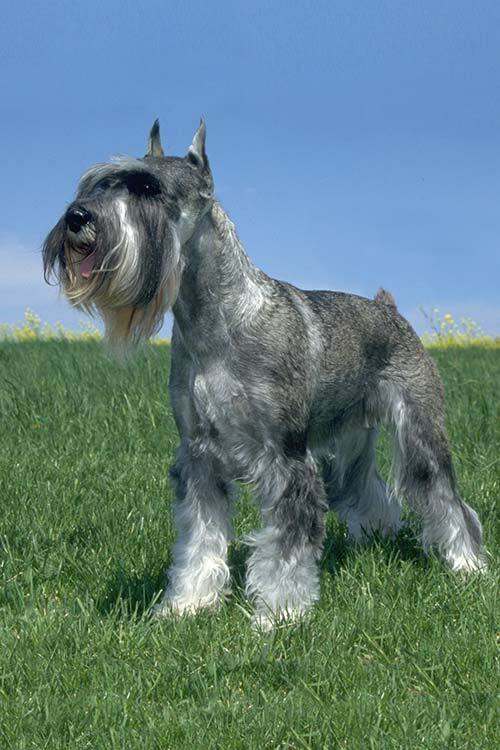 This indeed is an ancient breed which had been developed as early as the 14th or 15th centuries since they have been depicted in paintings of that time. 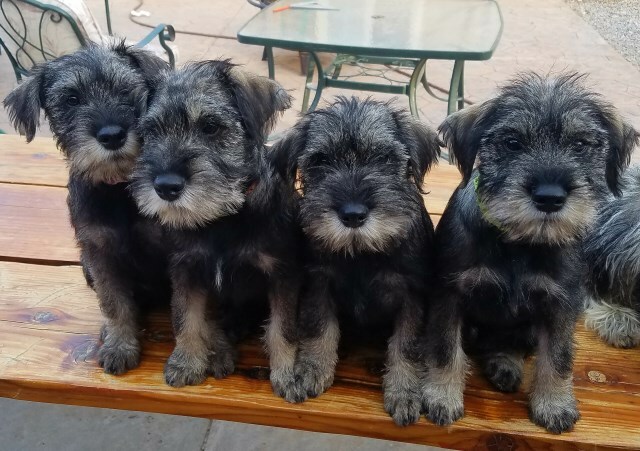 These were versatile dogs employed for diverse purposes like guarding livestock and property, killing rodents, and being the farmer or merchant’s protector on their journey to and from the marketplace. 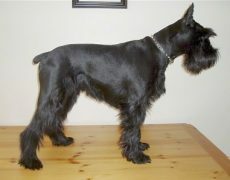 Some historians were of the notion that they shared their lineage with the German Pinscher, a rough-coated version of the breed. 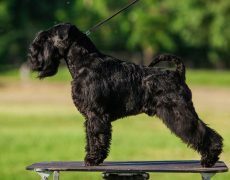 It was also said to have been crossed with the gray Wolf Spitz and black German Poodle from which it derived its pepper and salt as well as black coat. 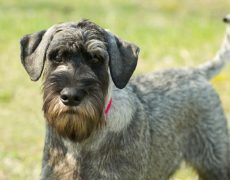 Initially, it was known as Wire-haired Pinscher, though later it came to be known and recognized by the name Schnauzer. 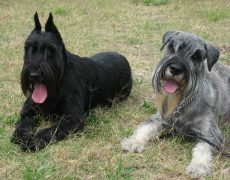 Not just their country of origination, their popularity spread in Europe too. 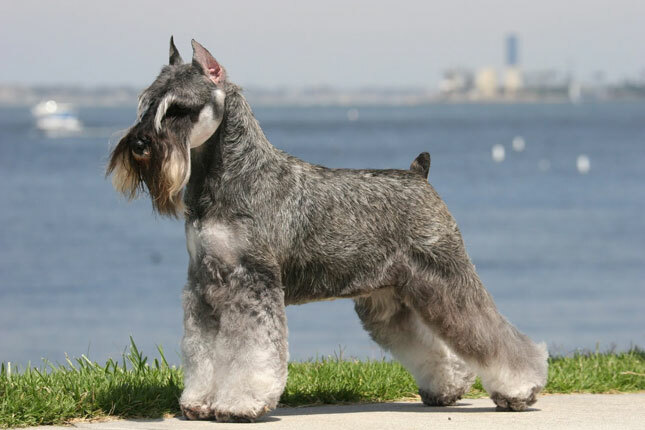 Though they were said to enter into the United States of America in 1899 perhaps being brought by the European settlers, the first recorded import was not before 1905. 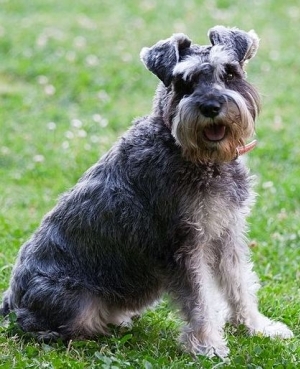 These lively, enthusiastic dogs make for a perfect family pet because of its protective and affectionate nature. 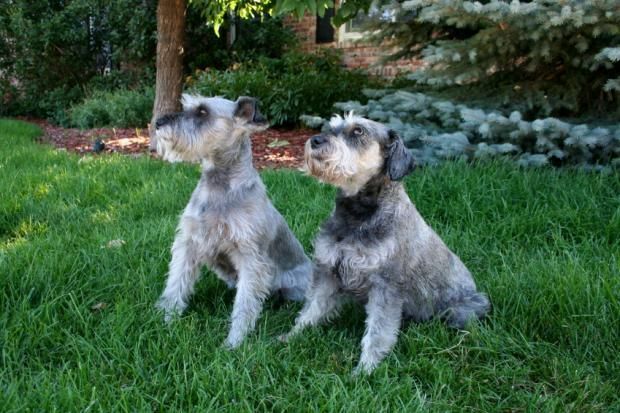 They are firm guard dogs and do not wait for a second to alert their owners with a robust, deep-sounded bark the moment they see an intruder in their domain or sense any probable threat. 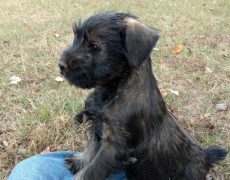 However, once you welcome the stranger, they would accept him too. 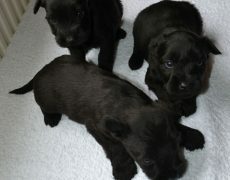 They crave for attention, and, love to be the cynosure of all eyes. 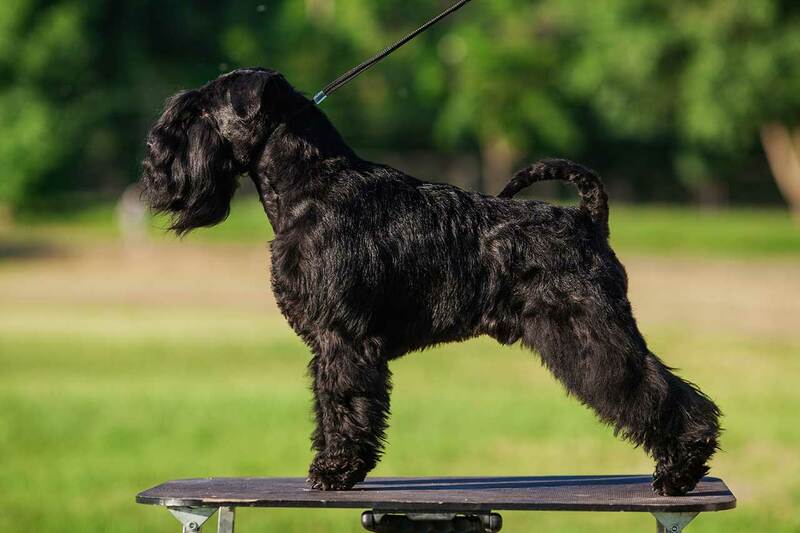 Because of their friendly nature, they get along well with children, and this demeanor of theirs have earned them the name “kinder watcher.” Since they were farm dogs, the Standard Schnauzers can adapt to varying climatic conditions. 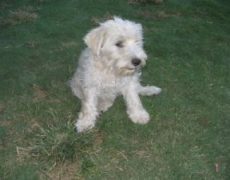 They might develop a friendly rapport with the dogs of the family but not with outside canines since they are highly territorial. 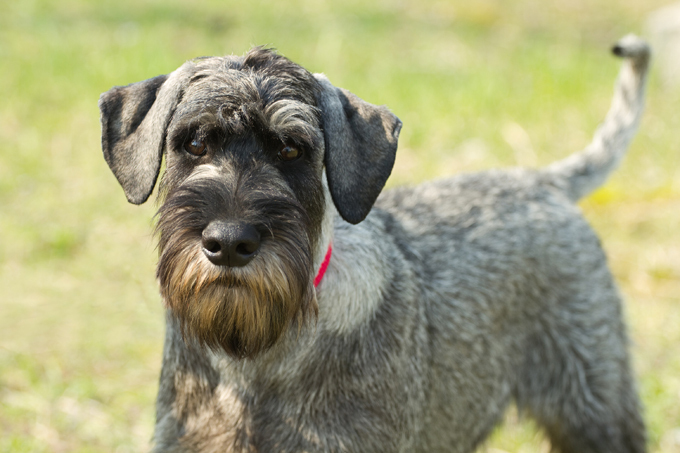 If you have pet rats or other rodents at home keep them miles away from these rat catchers. 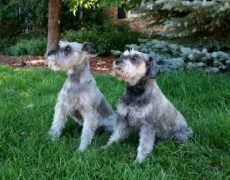 Give them their daily dose of exercise to ensure fitness that involves a regular walk, and sufficient game time in a fenced yard. 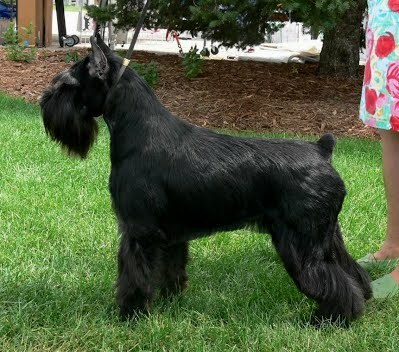 Besides brushing its double coat on a regular basis, make sure that it is hand stripped so that it retains its brightness and quality. 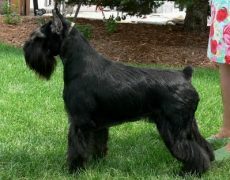 Cleaning its eyes and ears, trimming its nails and brushing its teeth are the other grooming needs that you must follow. 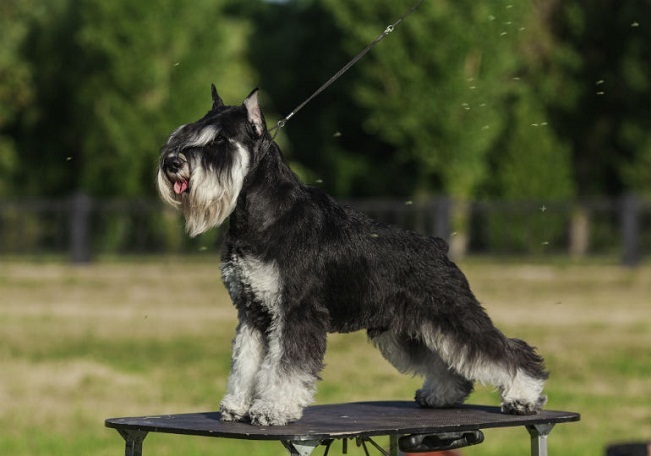 They are considered to be a healthy and hardy breed, and a survey conducted by the Standard Schnauzer Club of America mentioned that just 1% of them were affected by serious health conditions. 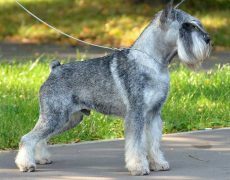 They can be stubborn and strong-willed, needing a firm handler to groom them well so that they can turn out to be disciplined dogs with a pleasant personality. 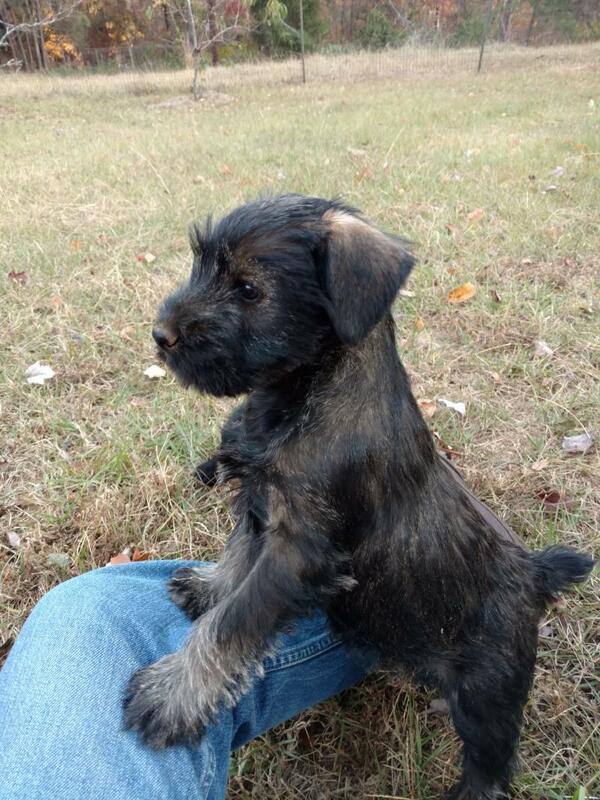 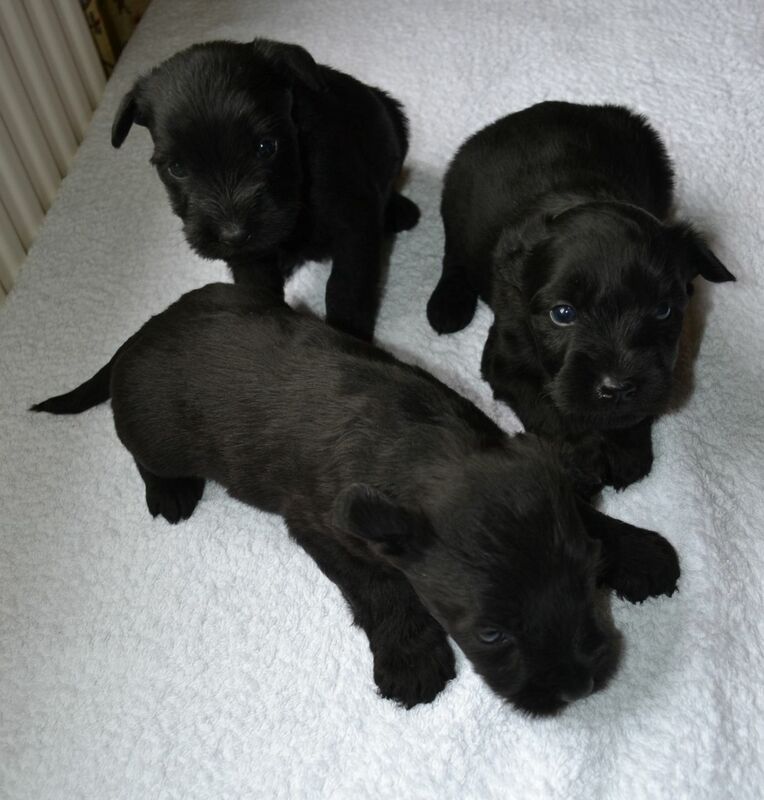 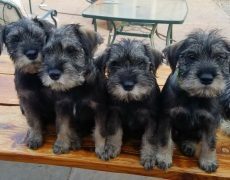 Socialization training imparted to the Standard Schnauzer puppies would help them get over their anxiety towards strangers. 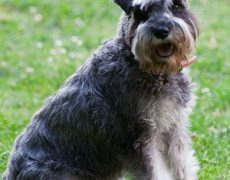 They need to be exposed to a whole lot of people with various physical traits and characteristics, which in turn might help them understand who is harmful to them and their family and who is nothing short of a dear friend. 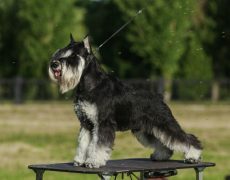 Obedience training, particularly on commands when imparted at an early age would help in eliminating their destructive habits like chasing or barking without a cause. 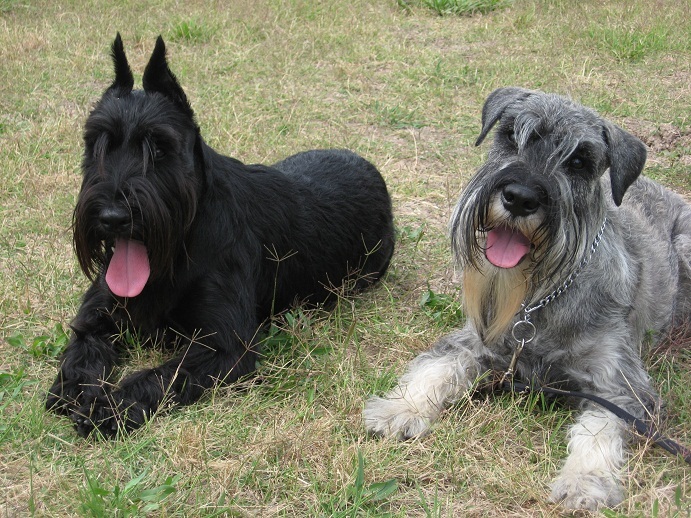 Dry dog food on a regular basis coupled with a homemade diet is what they need to be healthy.